Last Updated: November 13, 2018 | Subscribe to our weekly newsletter! Getting maximum satisfaction from your inground pool takes time and care. You have to worry not just about the overall aesthetics, but utility and durability too. 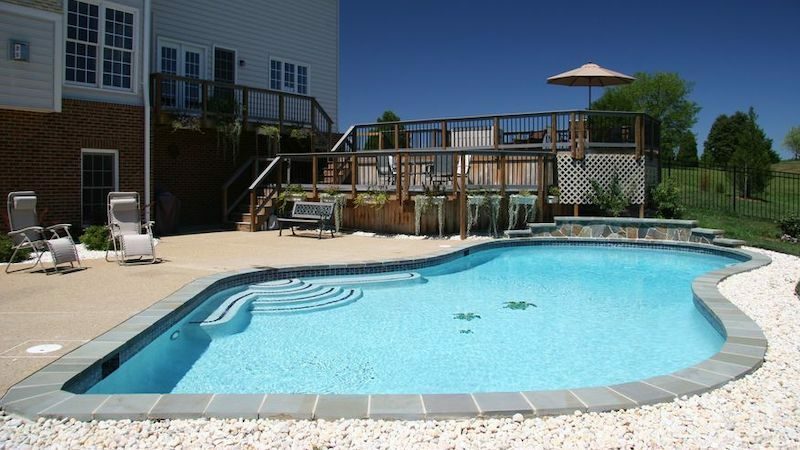 These concerns overlap at the edge of your pool, where the coping has its chance to shine. Think of pool coping as the finishing touch that gives you something to grab onto when you’re ready to get out—and helps protect your pool from water damage in style. Understanding how it works and your available options will help you make the right selection for your pool for a border that’s both beautiful and functional. In the world of architecture, coping refers to the protective cap or lip at the top of a wall that gives a finished look and protects the wall from the elements. It’s used largely the same way in pool design. When an inground pool is built, the upper surface of the pool wall—known as the bond beam—will likely have exposed steel, which probably isn’t going to win any safety or design awards unless you’re going for Thunderdome chic. You install coping to cover this wall, where it can direct water away from your pool and into the deck drain. It will also give your pool a polished look, and make it safer for swimmers. Typically, pool coping is designed with a graceful outward slant. It’s most often made of stone, concrete, or composite materials. 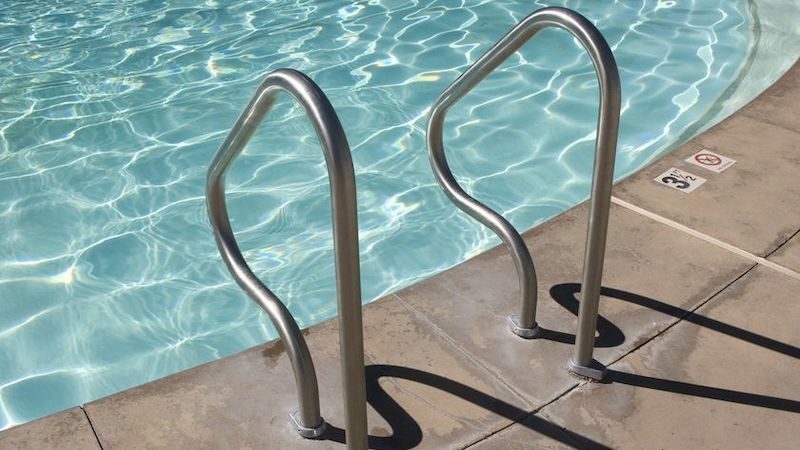 Metal and wood options exist, but they tend to suffer wear and tear in the moisture-rich pool environment. Consequently, they tend to need more care, investment, and maintenance. Blocking water from penetrating the area behind the pool shell and potentially causing damage. Keeping debris like grass, leaves, and dirt from entering the pool. Providing an attractive but still accessible cover for mechanical components such as automatic pool covers. Giving swimmers a safe and sturdy way to enter and exit poolside while reducing the risk of slipping. It’s not exactly a sassy azalea bush or a tasteful windscreen of slender pines, but pool coping could also be considered a bit of (inorganic) pool landscaping. It’s an opportunity to inject a little personal flair. You can choose from a wide range of colors, materials, cuts, and finishes to complement your overall design scheme. You’ll have an embarrassment of choices when you’re considering how to finish your pool. But before you choose your pool coping, remember to keep a few key points in mind. Affordability: Is the material within your budget? How much maintenance will it need? Can it be readily, and affordably, replaced or repaired if needed? Durability: Is the material going to last a long time? Is it weather-hardy and able to stand up to chemical-rich pool water? Is it able to withstand the weather extremes in your area? If you have a salt water pool, is your coping choice salt resistant? Safety: Is the material slip resistant? Is it sturdy? Is the design safe and useful for everyone who will be swimming in your pool? Does the material absorb a lot of heat in the sun? Style: Does the material blend well with your deck, landscaping, and other design elements? 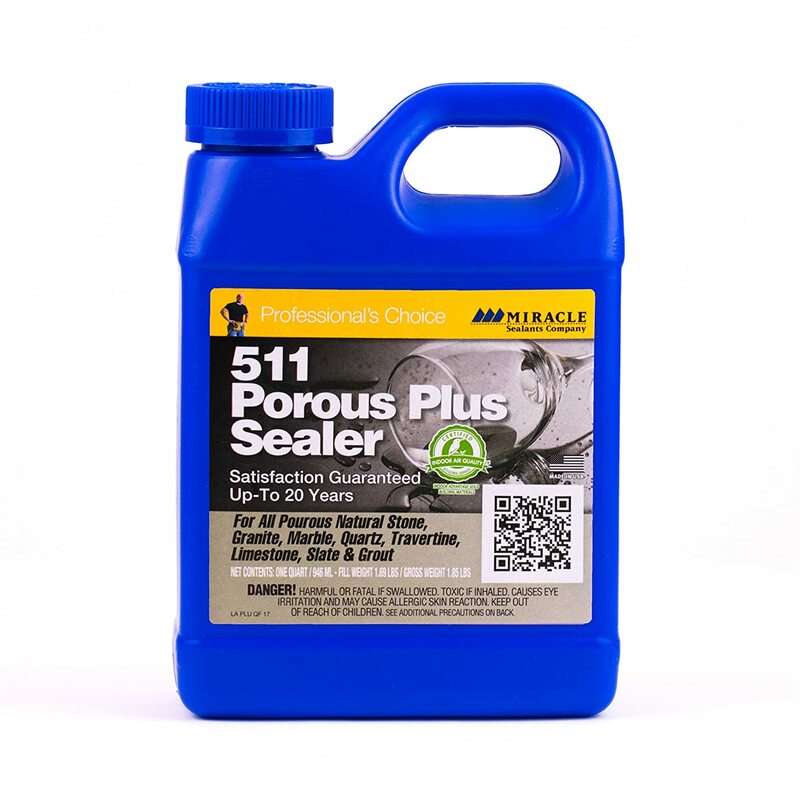 Note: No matter which material you choose, we recommend you add a sealant to prevent water damage If you click this link and make a purchase, we earn a commission at no additional cost to you. and, if necessary, a non-slip coating to help improve safety. The hardy riches of the earth form the most common pool coping choices. 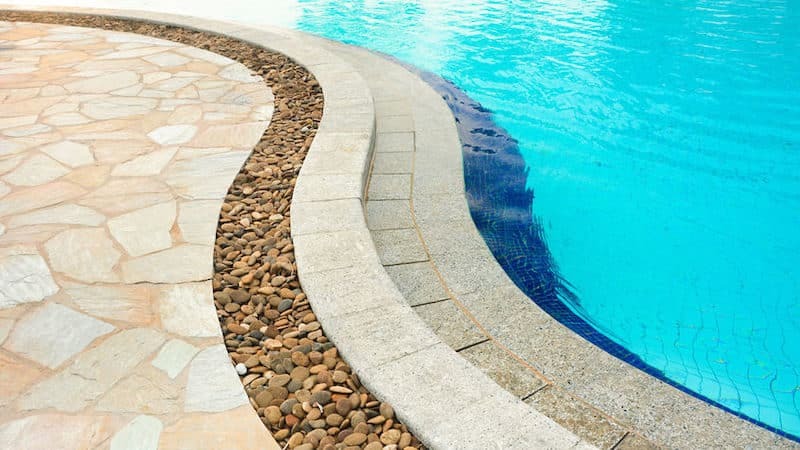 Brick, pavers, natural stone (such as granite or marble), and composite materials all make excellent choices for finishing and protecting your pool. This type of coping is installed directly onto the bond beam and can be cut and shaped to fit, in the style you prefer. Readily available, versatile, and hardy against the ravages of chlorinated water, brick coping also comes in a wide range of sizes and colors. It’s easy to replace individual bricks if they’re damaged, but remember to caulk and seal them during repairs. Similar to bricks, pavers are a sturdy and require little maintenance. They come in several finishes and sizes, and can be replaced piecemeal as needed. They’re water resistant and salt friendly too. From travertine marble to flagstone to granite, cut stone pool coping lets you bring a bit of natural beauty—and a whole lot of durability—to your pool. Natural stone can cost more than brick or pavers, but it requires very little maintenance and provides extra aesthetic appeal. Not all stones are created equal, though. Some, such as granite and sandstone, are extra durable, while others, like travertine, are porous and may require extra sealant. Moderately priced and easy to shape and modify, composite materials like pre-cast concrete make excellent pool coping. Shaped and sold in corners, straight lengths, and curved sections, these materials can be mortared piece by piece and then sealed for a cohesive look. They’re water and salt resistant, and can be exceptionally durable with a good sealant. If you have a fiberglass or vinyl-lined pool, or simply want a seamless rather than paver-based look for your pool, you’ve got plenty of options to integrate your deck and coping directly. Custom-poured concrete coping is more expensive than pre-cast, and is created by building a mold all around the perimeter of your pool. You can choose the finish, size, and coping style to fit your individual needs. While all coping slopes away from the pool, the actual lip and pool-facing edge can be cast or cut in a variety of ways. This term refers to the track used to secure your pool liner If you click this link and make a purchase, we earn a commission at no additional cost to you. . It provides a sturdy installation platform for traditional pool coping pavers made of stone or other materials, and doesn’t necessarily require any additional concrete pouring. But it can work well if you’re combining cut stone with poured concrete. This edging has a natural, unfinished look that pairs best with natural stone. It’s not as formal as the other options, but can really shine if you’re going for a relaxed, organic vibe. Choosing this style might be the only time you want foam in your pool. 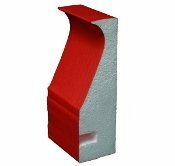 Cantilever-edge pool coping uses foam forms If you click this link and make a purchase, we earn a commission at no additional cost to you. attached to the top of the pool wall to provide a framework for a poured concrete deck. When the forms are removed, the finished deck—which can be stamped or stained to provide aesthetic appeal—will flow up and over the edge of the pool. 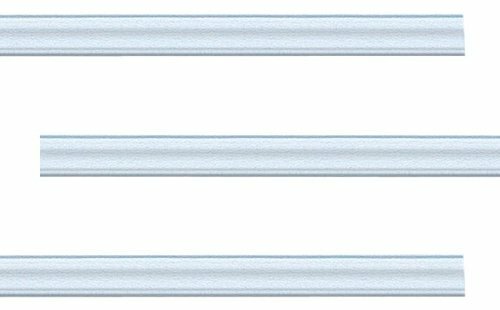 Also known as C-channel or half-round coping, this option is usually made of heavy-duty aluminum. It attaches directly to the top of the pool wall to provide a smooth, finished edge for a poured deck or patio. This coping has a flat, back-sloped surface and a curved front face that’s flush with the pool wall. It’s a gentle, comfortable cut that’s easy on the eyes and on folks climbing in and out of your pool. Plus, this cut makes it easy to change vinyl inground pool liners without having to remove the coping first. Can You Say “Nope” To Coping? If you don’t fancy the idea of separate coping for your pool, and you have a discrete deck (rather than a poured one) you can design your pool’s deck to pull double duty. Simply extend the edge of your deck around the entire pool to create seamless protection with a modern look. A pool without coping is like a plane without a roof: it looks a little unsettling, and you’re not keen to hop in. 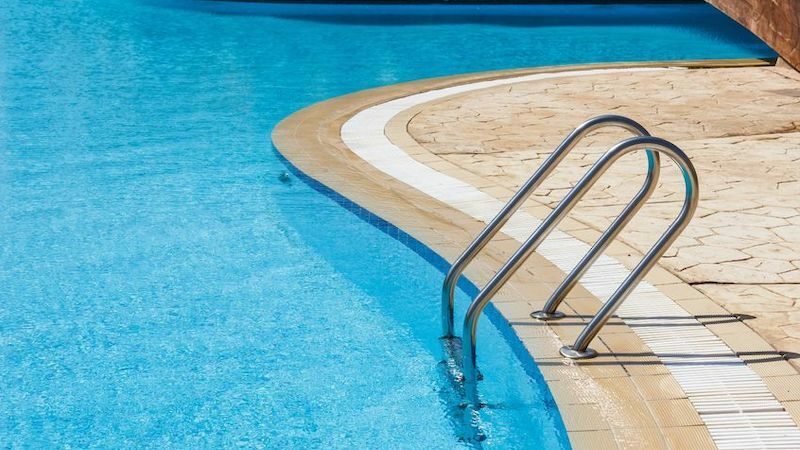 Take the time to familiarize yourself with your coping options, and choose the one that best fits your needs while giving your pool a bit of pizazz. In no time flat, you’ll have a beautiful, functional pièce de résistance for your personal backyard paradise—and enjoy safe, comfortable swimming for years to come. When's the last time you thought about your pool skimmers? Give them their due because they're one of the most important parts of your pool and its health. Pool looking faded and stained? It may be time for a new paint job! 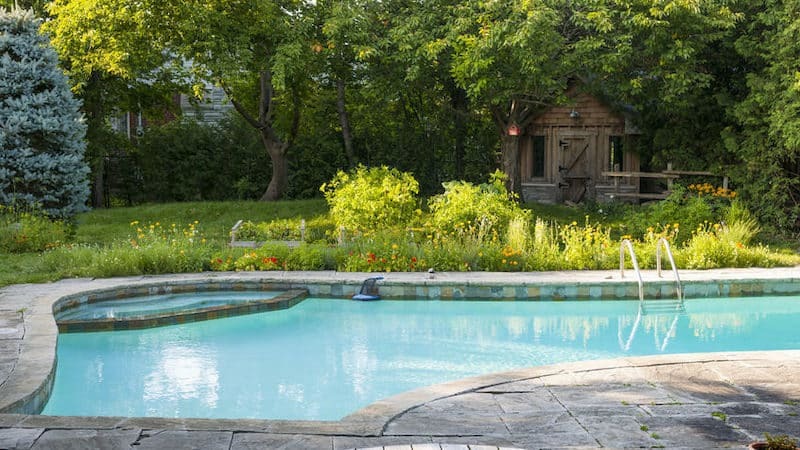 The key to bringing your pool back to life is choosing the right pool paint.